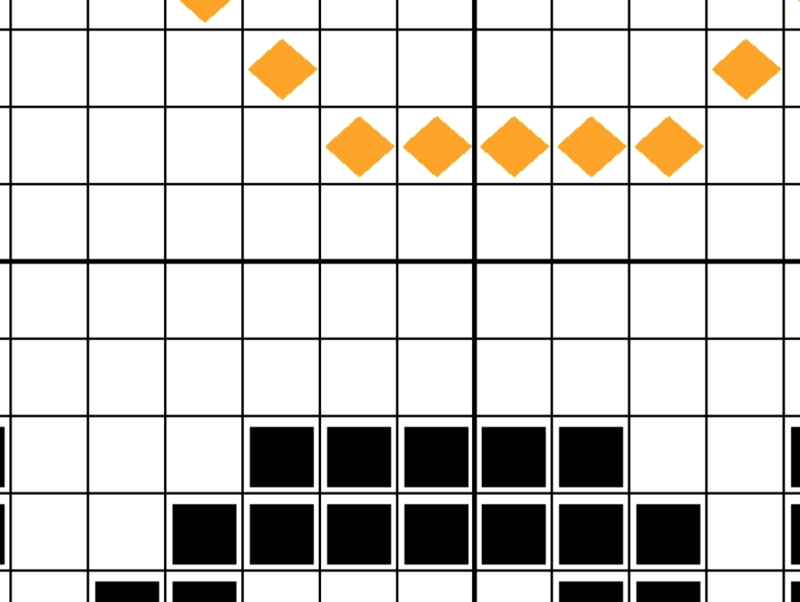 This counted cross stitch pattern was inspired by the Netflix comedy television series Unbreakable Kimmy Schmidt. 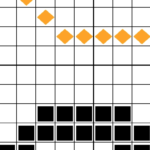 Written by Tina Fey, Unbreakable stars Ellie Kemper, Tituss Burgess and Jane Krakowski. 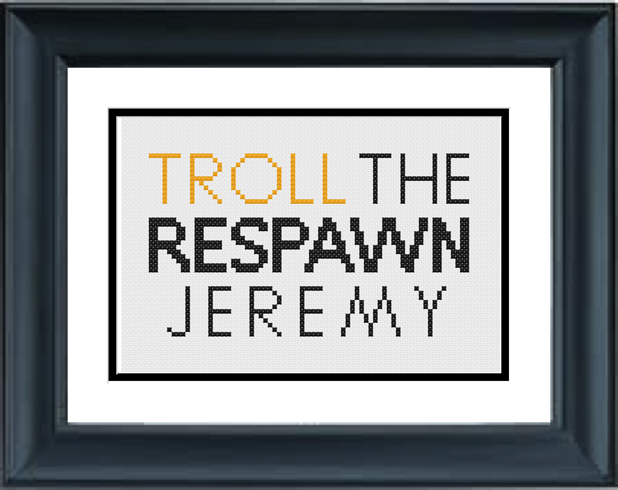 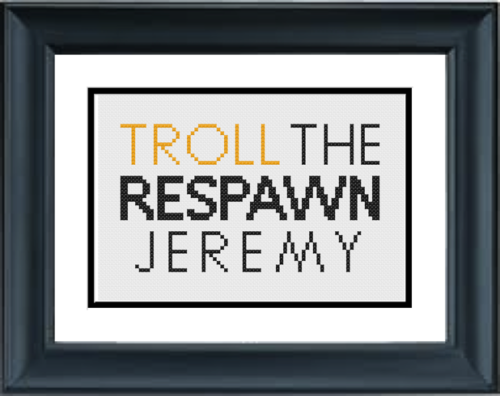 It reads “Troll the Respawn Jeremy”.